Scotland flanker Blair Cowan has signed a new long-term deal with London Irish keeping him at the Reading-based club until 2018. Kiwi-born Cowan won the club's Player of the Season award in his first campaign at London Irish in 2013/14 and was one of the shining lights of Scotland's fine Autumn International campaign, that concluded with Saturday's 37-12 win over Tonga in Kilmarnock, a game in which Cowan scored his first international try. "I have really enjoyed my time so far at London Irish and was stoked to extend that by a further two seasons," said Cowan. "London Irish has opened doors to international rugby and I believe the Club will constantly improve my game. There are exciting times ahead for London Irish and I'm keen to be a part of that." 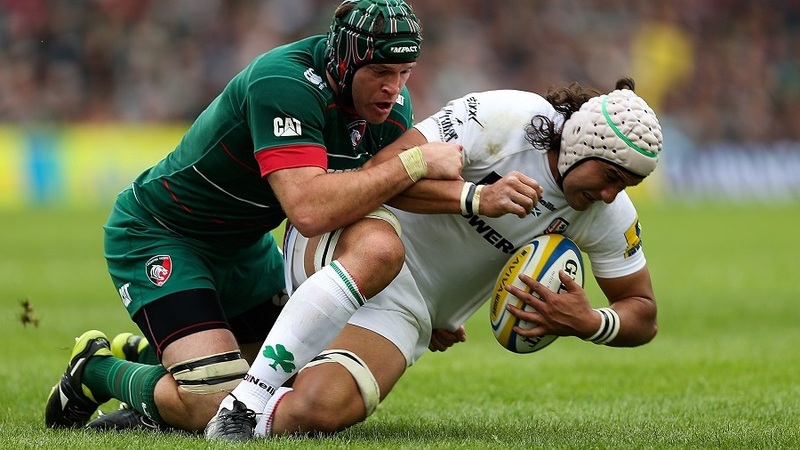 "Blair has been outstanding since first arriving at London Irish," added London Irish coach Brian Smith. "His work ethic in training and on the park sets a great example and he is fast becoming a real leader in the squad. He has made the step up to international rugby seamlessly and fully deserves to be playing at that level."